I was really looking forward to this one and I’m please to say it lived up to most of my expectations. 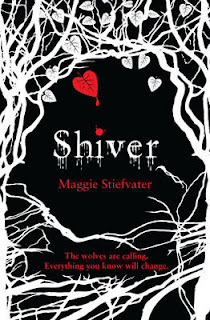 I really enjoyed Maggie Stiefvater’s writing style as it had a very lyrical feel to it. The novel was slower paced than I was expecting but this wasn't necessarily a bad thing – it didn’t have the tense urgency of some books I’ve read recently but I can honestly say I never lost interest because of it. It helped create a great atmosphere and i could almost feel the cold as I read! The story was told from both Grace and Sam ‘s point of view – a method that is fast becoming my favourite style of storytelling. Character wise – I just adored Sam. He’s so sweet, caring and nice. Grace I found harder to connect to – I never felt as if I really ‘saw’ her – she had such emotional strength and independence that I just couldn’t relate – although considering the way here parents were with her it was definitely understandable. Isabel, on the other hand, cracked me up and provided the light relief the story needed at times. I loved the mythology Stiefvater created here – it felt very original and as such gave the story a higher level of authenticity. I started to believe it was actually possible! My favourite part of the story though, was the Sam/Grace love story. It was so gentle and felt very believable to me –and the ending. How much did I LOVE the ending? It’s safe to say I can’t wait for the next book in this series and I’ll be very interested to see how it continues. I'm really looking forward to reading this one. The beautiful cover is calling to me! I love Maggie's writing style and can not wait to read this. Great review. I'm sharing the Shiver love. At the signing today Maggie said that she enjoyed writing the Sam parts more than the Grace parts but that Grace always kept the plot moving because she just got on with things. Great review! It sounds like the book that has everything! 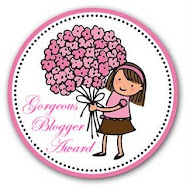 Definitely going to read this :) Loved your review!